Remarkably unreported this month (outside one Daily Mail report) is that four of private work provider A4e’s staff who ripped off the taxpayer and lone parents have pleaded guilty to 30 acts of fraud and forgery. “Ex-A4e recruiters Julie Grimes, Aditi Singh, Bindiya Dholiwar and Dean Lloyd, pleaded guilty to more than 30 charges of forgery and fraud when they appeared at Reading Crown Court on Monday, February 3. The case followed a police investigation into financial rewards claimed for helping the unemployed into work through the European Social Fund ‘Aspire to Inspire’ Lone Parent mentoring programme, which ended in July 2011. It is alleged that they forged documentation to support fraudulent claims for rewards for work with learners who had not found work or did not exist over a period of four years until February last year. Grimes, 51, of Staines, admitted nine charges of forgery and Lloyd, 37, of Milton Keynes, admitted 13 offences of forgery. Dholiwar, 27, of Slough, admitted seven counts of forgery while Singh, 30, of Slough, admitted two counts of forgery and one of fraud. No date was set for set for sentencing. The magazine reports that the trial of eight other ex-A4e defendants, who pleaded not guilty to all charges at Reading Crown Court, including conspiracy to cheat, is expected to start on October 6. A further defendant, Nikki Foster, aged 30, of Reading, recruiter, was not at court on Monday. She was due to appear later this month. The magazine also carries a statement from the chief executive of A4e who appears to be remarkably complacent that everything is OK in the rest of the company. Andrew Dutton, A4e chief executive, said: “I am deeply disappointed that a small number of people who formerly worked for A4e on the Aspire to Inspire contract in the Thames Valley up to 2011 clearly let down the people they were supposed to help, and in turn the taxpayer, Department for Work and Pensions (DWP) and A4e. “A4e co-operated fully with the police enquiry, after our own internal investigation first brought these incidents to light. “Since these events took place, we have augmented our controls and processes to seek to ensure that nothing like this could ever happen again….. He goes on: “I would also like to say thank you to our 3,000 loyal, hard-working and principled staff who each day deliver public services to the highest standards that help to improve the lives of thousands of the most vulnerable in our society. There is a little bit of amnesia here. I seem to remember a certain Commons Public Accounts Committee report in 2012 following hearings from whistleblowers who worked for A4e among others. Need I say more! I won’t in respect of the eight other A4e employees so they get a fair trial. Today confidential evidence given to MPs on Parliament’s most powerful committee of MPs by a team of whistleblowers on fraud should have become public. The whistleblowers- people once employed by two rapidly growing companies A4e and Working Links which are dominating the government’s welfare to work programme – spent two hours giving dramatic evidence in private to the House of Commons Public Accounts Committee last May. The result of their information and a frankly complacent performance by Robert Devereux, the patrician permanent secretary, to the Department of Work and Pensions led to a damning report by MPs on the ministry’s stewardship of taxpayers’ money handed over to these profit-making companies. As reported in Exaro News today ( see http://www.exaronews.com ) Tory and Labour MPs were disgusted at the ministry’s performance. The evidence came from an appalling internal audit report prepared in 2009 by A4e’s own auditors and leaked to committee on the Exaro website which concluded:” found that more than one quarter of the company’s placements was potentially fraudulent, irregular or unverifiable. The jobs agency even placed one job-seeker at a Liverpool lap-dance club. Last May, Exaro published the auditors’ findings in full. That was under Labour. But according to one of the whistleblowers it continued under the Tories. Eddie Hutchinson, former chief auditor of A4e, told the committee in his submission of “systemic” fraud and malpractice at the company. Hutchinson, worked at A4e from October 2010 until May last year, and at Working Links before that. He described what he saw at both companies as “a multi-billion-pound scandal”. This we only know because of his evidence was leaked to the Daily Telegraph. 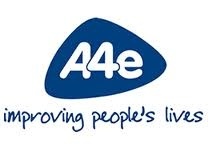 A4e insist that this eveidence is not true and the new company is now wonderful. Today we should have had a more rounded picture with new evidence from other whistle blowers. The draft report would have included the minutes of that meeting and with names redacted all the information. 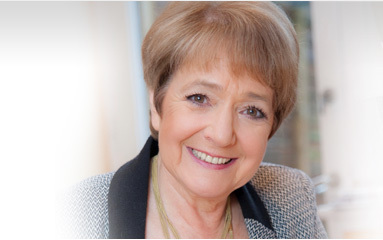 But just days before publication the whistleblowers, according to a top source panicked and asked the chair, Margaret Hodge, to censor all their evidence. Why? All the whistleblowers were happy to give evidence in public last May but some Tory Mps, Chris Grayling, then the minister for work, and A4e were desperate for the public to know nothing. They stopped the public hearing. Billions of pounds of new contracts were at stake. Now ministers and A4e have got their way. We are none the wiser. Have the whistleblowers been threatened? Did they decide they had lied to the committee? Or is there a blacklist in the auditing profession to prevent people who blow the whistle from getting fresh work? Today is a bad day for transparency and democracy when the most powerful committee in Parliament that holds the government to account cannot publish the facts. 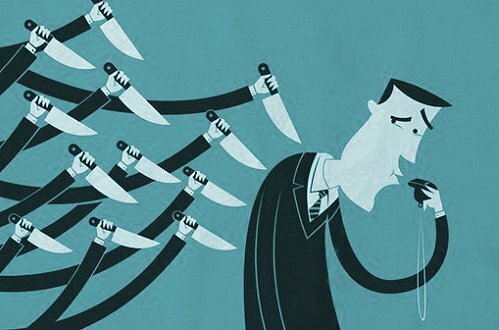 The government is making matters worse by changing the law protecting whistleblowers to make it even more unlikely they will risk their careers at the moment. A4e as well should have been allowed to give evidence to the committee as well as the rather arrogant Mr Devereux. The company could then have put its case and been questioned on its performance. For those interested in the full or should I say half redacted report, it is here (http://bit.ly/PKPO9a ).